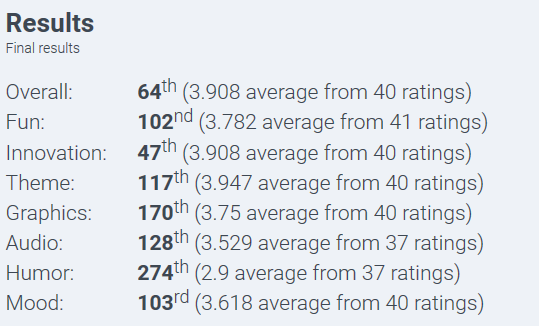 Results just came out for Ludum Dare 40, and I did the best I’ve done so far. 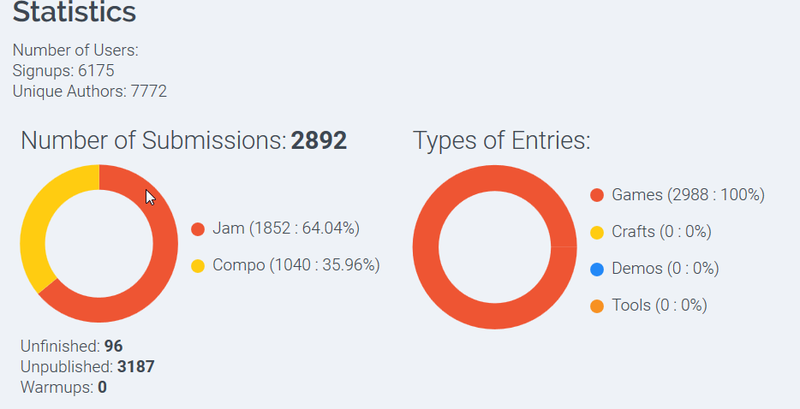 I won’t go into numbers here, but you can check them out on the Ludum Dare page if you’re interested. I’m quite happy with the game I created, and it’s definitely reassuring to see others scored it well. I thought I’d post a postmortem before I forget anything more about it. I might try to do this more with game jams; will see how it goes. It’s a bit long and rambly, so click in if you’re interested. I also feel like my artwork is getting better. It could always improve, but the bunny actually looked like a bunny, and the enemies weren’t too bad. Lastly, I think I really nailed down level design well this time – I was able to devote more time to it this time, and it seemed to show through. For a first puzzle game, (ever, actually!) I think this fared really well. Lastly, I switched to an html5/js based emulator this time, instead of flash-based. This was likely more accessible for players, and in addition it has less issues with lag/etc so it probably gave a much better first impression. Of course, in anything like this there’s plenty of room for improvement. That falls into a few categories for me. Second, music/sound effects. I will say this entry was one of my strongest ones for them – the music actually got a few compliments. (Not a common occurrence for me.) That said, the main track could have been a bit longer – it got repetitive pretty fast, and was very few measures. I also think it would have made a big difference to not restart the music at the start of every level – that was kind of jarring, and likely made the repetitive nature of the music worse. Finally, it really would have helped if I could have squeezed out at least one more track to switch to after a few levels, just to break the repetitiveness a bit more. A way to skip movement animations; both for the player and the enemy. They’re slow, and sometimes unnecessary. I was really happy with the results of this jam, and I’m definitely excited for the next one. I think if I can improve on the things I listed above, the results will be one of the best games I’ve made.